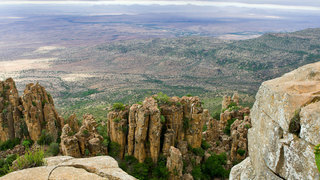 If you are in need of an escape that offers one of the biggest varieties of scenery, eco systems and landscapes, the Cape to Karoo route is a must. Starting from Cape Town central, make your way on the N1 highway to the Hugenote Tunnel, one of the most sophisticated mountain tunnels in the world. A minimal toll fee will be charged here. Once through the tunnel, the landscape will, seemingly miraculously, change from mostly flat winelands to incredible mountain ranges that will envelope you in blues, greys and purples. 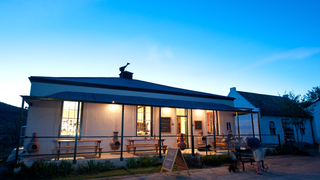 The Hex River Valley, a conglomerate of wine farms framed by sharp, charcoal escarpments, is not to be hurried through - here you will find amazing farm stalls selling mainly produce from the area like jams, preserves, wines, fresh fruits and much more. The quality of these homemade products is something you won't find in the commercial centres of the Cape. The Stettyn Mountain Range, the Du Toitskloof mountains, the Slanghoek-, the Little Drakenstein-, Elandskloof and Limietberg mountain ranges are all found in the immediate area and adds to the picturesque setting an almost limitless space to explore. The main commercial centre here is Worcester, a modern town that offers you convenience stores and popular restaurant franchises, making it easy to stop for supplies and refreshments. Worcester is far more than a commercial hub though. With buildings steeped in history, and a rich cultural heritage, you can certainly spend a day or two here. If you stay on the N1, you will reach the beautifully quaint railroad town of Matjiesfontein, one of the hidden gems that must not be passed by. With historical facts that will boggle the mind, cosy little coffee shops and restaurants, a beautiful, secret garden and even an antique chapel that reminds of centuries gone by, you will find yourself wanting to stay for at least a night. For that there is the famous Lord Milner Hotel, a historical landmark in its own right. If you turn left from the N1 onto the gravel road, instead of right towards Matjiesfontein, you will find, 100 km further, the now famous Karoo Town of Sutherland, home of the South African Large Telescope and the headquarters of the South African Astronomical Observatory. 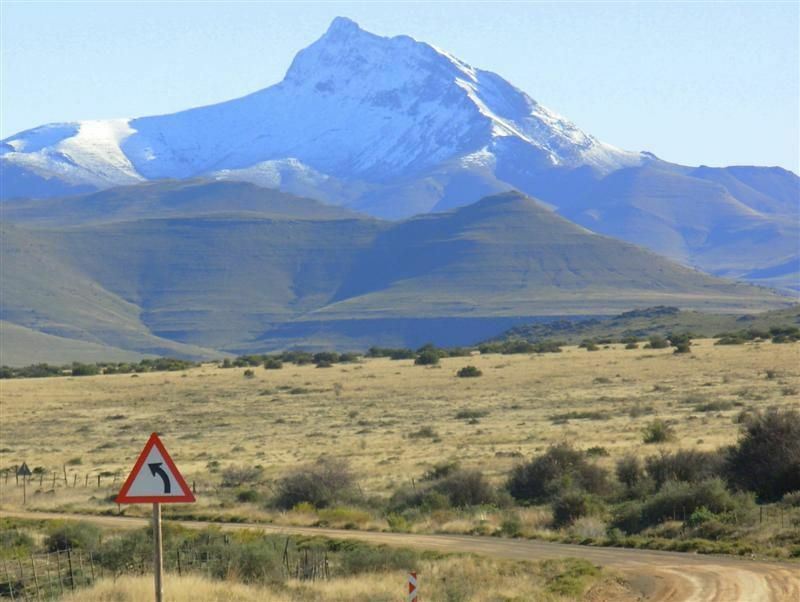 It is also known as the 'coldest town in South Africa', and earns this reputation especially during June and July. Be sure to try the quaint little Halley-Se-Kom-Eet coffee shop serving light meals and snacks, as well as the Sutherland Hotel that serves 'Nagmaalwyn' (sherry) in front of a roaring fire. The N1 road winds along into what is seemingly literally 'nowhere', but don't be fooled. The mountain passes you can explore here are littered with stories that reminds of the Wild West abroad. With roads like The Smuggler's Route and The Diamond Way, you would find yourself having to carefully choose which interesting area you want to visit, risking ruining any form of itinerary. Old Diamond Way is a route once used by treasure seekers who made their way to the diamond-rich Kimberley. Smuggler's Route can be found on the Seweweekspoort Pass; brandy smugglers avoided paying steep taxes by using this route, sometimes though, paying with their lives instead. Legendary ghosts apparently haunt this area, including the infamous toll-keeper who for years now has been 'seen' running up and down the road frantically trying to warn travellers of dangers ahead. The 250 km section between Matjiesfontein and Beaufort West is a very tiring stretch of road, so make sure to stop in Laingsburg for a leg-stretch and refreshments. Just before Beaufort West, the N12 that leads towards George on the Garden Route meets the N1, and 80 km after Beaufort West you will reach the quaint little town of Three Sisters, a testament to Karoo beauty and tranquility. The road will briefly cross into the Northern Cape before crossing back into the Western Cape.